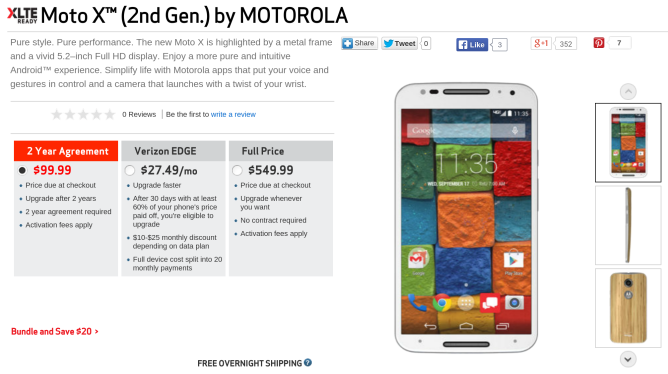 For people living in the large swathes of the US where Verizon Wireless is the only real option, your chance to get the second generation Moto X has arrived. 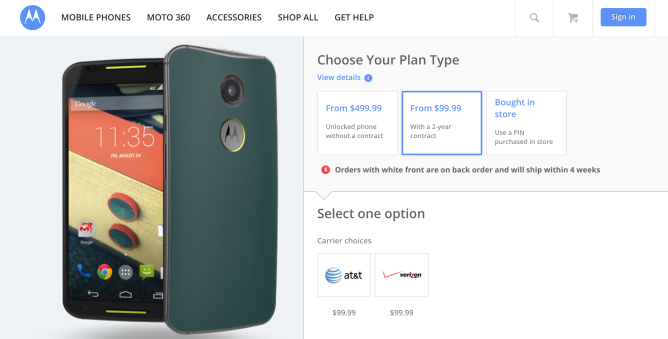 The handset is now available on the carrier's site for $99.99 with a two-year contract, though the price differs with other payment options depending on color. 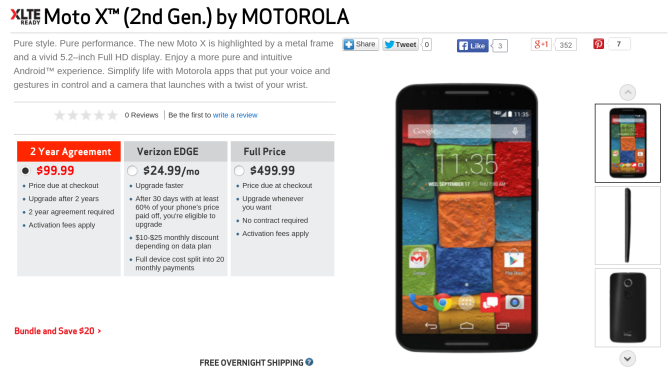 The site is showing the black one available for $24.99 a month with Verizon Edge or $499.99 outright. For the same phone in white, those numbers jump to $27.99 and $549.99. Both come with 16GB of storage. If you want a Moto X with more storage space or an exterior that will turn heads, you will need to turn to Moto Maker. The site's been up and running for a while already, but now it will let shoppers design their own phone and checkout with Verizon Wireless. 32GB models start at $149.99, and the price goes up as you swap out plastic backs for wood or leather. It's easy to assume that Verizon's version of the phone will be the last to get updates, but hey, hell's frozen over before. It could happen again.